Carbon Fiber was once considered a very technology-advanced composite and mainly used in fields where cost was not a subject, like aerospace engineering, racing, and high-end automobiles. 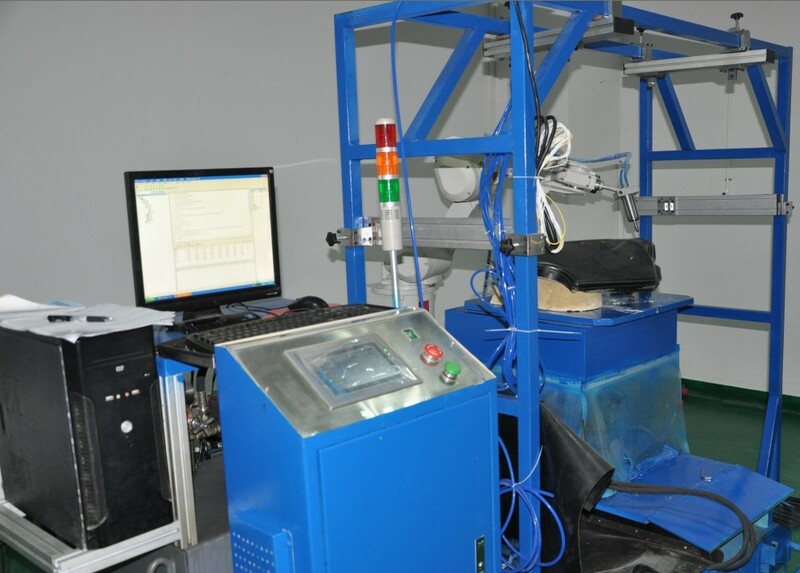 The manufacturing of carbon fiber filament is still being done at a few very selective facilities around the world. However, the end products made with weaved carbon fiber cloth have seen great price drop and gaining great popularity in motorcycle aftermarket bodyworks. Now let’s look at what’s so called the “autoclave” process. An autoclave is simply a big high-pressure heating chamber that opens from one end (think of a pressure cooker that fell on its side). Carbon fiber cloth that’s wetted with epoxy resin is conformed onto the metal molds with vacuum bag, laid out on a long roller cart and rolled into this big pressure cooker. Door is then locked, heat is on, pressured is applied and the timer is set. In an hour or so, parts are rolled out and checked for leaks. If everything looks good, parts are rolled back in to bake for another 45 minutes or so. After the autoclave is done, the parts are de-molded, trimmed, cleaned and clear coated. The following step-by-step photos will give you a better understanding on how this process works. Carbon Fiber fabric is pre-pregnanted (hence the name “pre-preg) with epoxy resin and stored in a walk-in freezer. 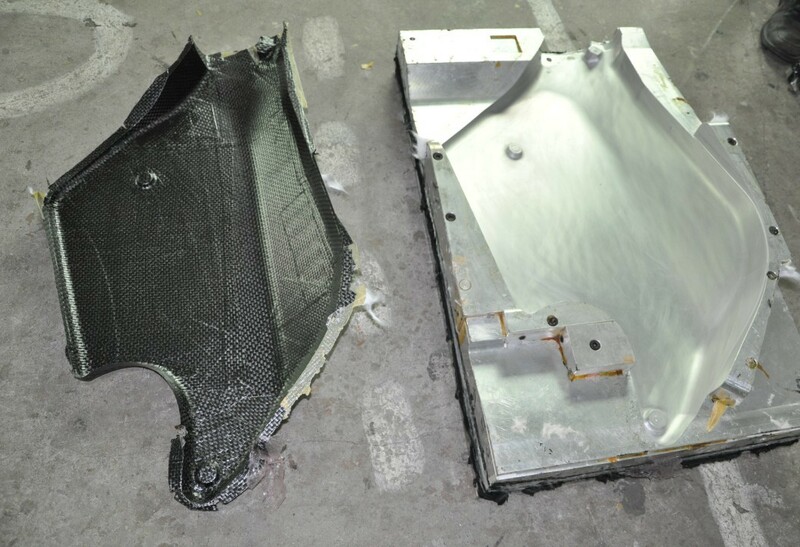 Pre-preg carbon fiber gives best fabric-to-resin ratio, and eliminates the resin-inducing step. We use Toray® carbon fiber on all our bodyworks. 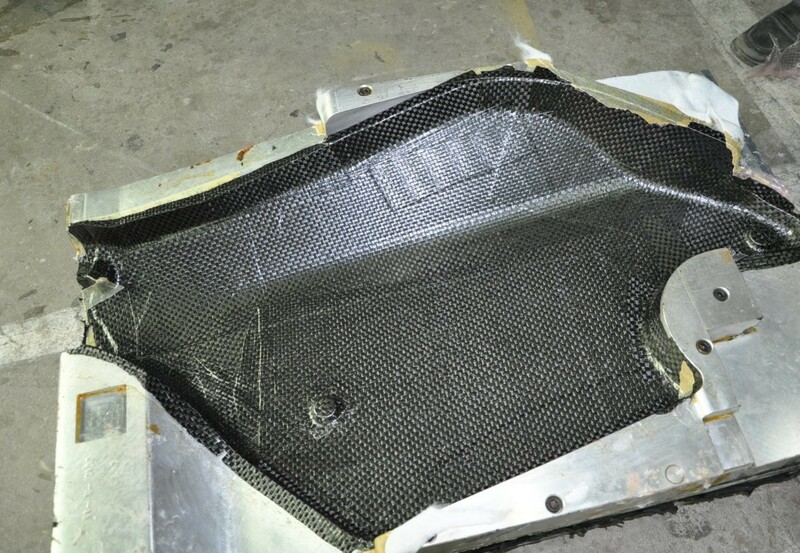 The roll of carbon fiber fabric is fed into our CNC router and cut into desired shape. The cloth is then laid inside the mold and vacuum is applied. Certain parts that have metal mounting fixtures will require another mold on the backside to ensure precision. Parts that require smooth backend (like windscreens or hand guards) will also use backside mold so both sides will appear smooth. Once parts are in their molds and tightly vacuumed, the cart is rolled into the autoclave chamber. Temperature and pressure are all set from the digital control panel. The baking then begins. The operator will double check for vacuum leaks during the autoclaving period if the panels are large and prone to air leaks. Leaked vacuum will induce air bubble into the resin and results in weakened parts and inferior finish. If everything goes well (most of time it does! ), we will have a beautiful part. Shown above is the side panel for Ducati Sportclassic 1000. Trimming is done on our CNC rig with a Mitsubishi Robot Arm. If the part is relatively flat, we can also utilize waterjet. There are also parts only can be cut by our skilled staff with hands. The part will then be cleaned to remove mold release agent and sprayed over with UV resistant clear coating. After some hand polishing, we can finally deliver beautiful carbon fiber motorcycle bodyworks that brings grin stretching from ear to ear. 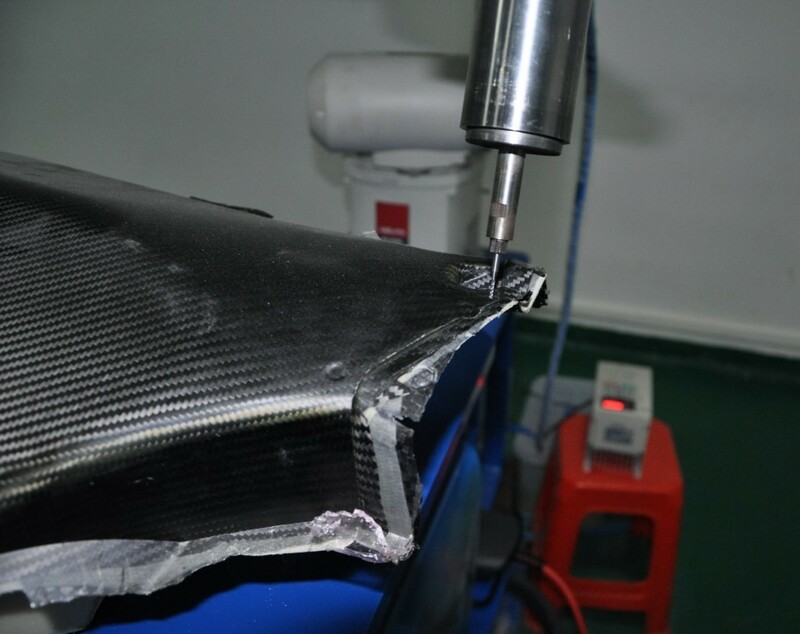 The making of carbon fiber body panel is still a very labor intensive process and requires a lot of skill and patience. It’s also challenging when it comes to de-mold and trim intriguingly shaped parts. But hey, this is what we do here and we will keep trying to bring you the best carbon fiber products with a reasonable price, through ways of technology, experience and passion.